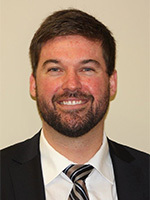 After successfully completing his Bachelor's degree in Political Science at Laurentian University in 2005, John Michael entered law school at the University of Ottawa and graduated in 2008. He was admitted to the Law Society of Upper Canada in 2009. While completing his undergraduate degree, John Michael spent a year overseas studying International Relations at L’Institut d’Etude Politique de Lille II in France. Since joining Orendorff & Associates, John Michael has continued to work on serious and catastrophic personal injury cases. Following his articling experience in southern Ontario with a large personal injury law firm, John Michael decided to return home to Sudbury to focus on his litigation career while serving both the French and English speaking communities. John Michael has contributed to the community in a wide variety of capacities. He is a board member with the Sudbury Food Bank, Childhood-Enfance (Breakfast Program for Children in local schools) and has served as President of the Sudbury District Law Association (SDLA). John Michael is a director of the Ontario Trial Lawyer Association.